If you’re looking for a way to maximize your cash and grow your on-hand assets into a fortune, you’ll need to make savvy investments. Investing in the stock market comes with risks as you’re at the mercy off the market. A much safer investment market is real estate investing. While the market will change, people will always need homes. If you’re considering entering the world of real estate investing, it’s key to come in with the information you need to increase your chances of success. Any time you’re putting a large chunk of your money into an investment, you want to be prepared. Here at Flip Out Academy, we’ve put together this article to teach you how to build wealth through real estate investing. Read on and find out how to make your first real estate investment the best investment of your life. Real estate investing is the process of buying real estate with the intention of increasing its value. This involves making house repairs to make it more desirable to renters and buyers. There are two primary paths to success in real estate investing – either fix up a low-cost location with the plan of flipping it at a higher cost, or set it up as a rental location and reap the regular income. The first path is a high-risk, high-reward plan that varies in success depending on the market. The latter path is a more reliable long-term source of income but takes longer to build into a successful business. How Do I Build a Real Estate Investing Business? The first step to building a real estate investing business is to purchase your first piece of real estate. It is recommended to start small – a condo where you live is enough to give you the capital to invest. From there, you can borrow on that investment to make bigger purchases. The next step is to decide what type of real estate business you want. If you’re looking to flip properties, you will want to purchase low-cost properties with work to be done. If you’re not a contractor, you’ll need to find one you can trust to do the necessary work on the property. Once the property has been repaired and elevated, you can sell it at a much higher rate than the original purchase. If you’re looking to rent properties, you’ll want to find properties that are closer to ready than those for flipping, but still need work done. After a smaller initial investment, you can rent out the location and establish a long-term income stream for yourself without lifting a finger beyond the initial investment. Your first deal will not be your best. As you’re learning about the real estate world, you’ll want to minimize your risk and maximize your chances for success. This is why a first investment is ideally a small location that can be used as a residence and doesn’t require going into debt. It should be a safety net for future, bigger deals. Once you’ve established a safety net for yourself with your first purchase, you can leverage that into bigger investments. Think long-term – what is your goal in real estate investing? Do you want to be a large-scale landlord? Do you want to flip houses? Do you want to build a career in real estate or are you looking to earn enough money to follow a different dream? Every investment you make should be made with those long-term goals in mind. The world of real estate can be highly competitive, and it’s easy for a new investor to be taken advantage of by more experienced elements. That’s why it is key to network early in your investing career. Find trusted figures in the field and learn from their successes and failures. Finding a mentor can prevent many early mistakes that could land you in a financial hole. When looking for fixer-uppers, it’s key to know what repairs are ideal and what repairs are cost sinks. When investigating a house or condo for flipping, you want to see cosmetic issues that can be repaired with ease, but you want to avoid major infrastructure issues that render the home uninhabitable. Make sure an investment doesn’t need you to put in more than you can expect to get back. 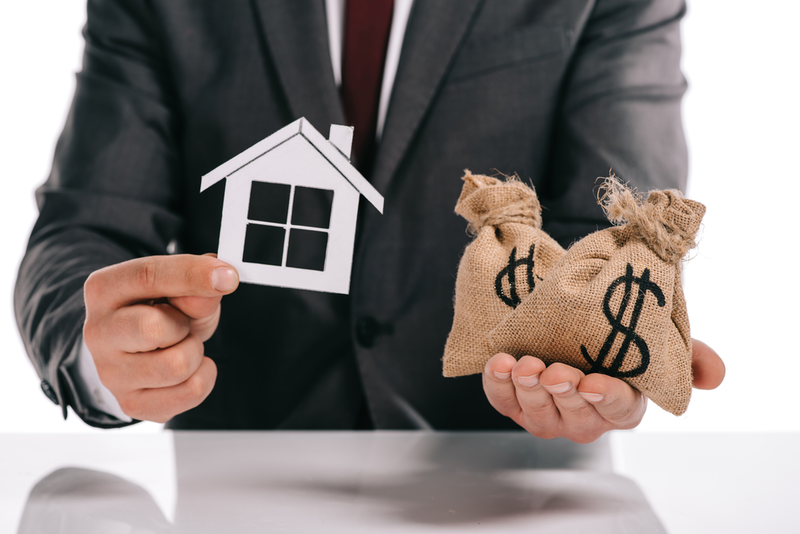 Setting up an income stream for yourself from rental properties is a great way to get the extra money you need to invest in higher-risk flipping properties. Starting small with safe properties that don’t require a big investment frees you up to take risks without jeopardizing your home or bank account. Landlords often have tax advantages over homeowners. These include increased deductions like interest, insurance, maintenance, and value fluctuations. These can be classified as business write-offs. In most states, you can also defer all capital gains taxes after selling a property. You should research your state’s and municipality’s tax laws before investing – it may make all the difference in where you want to make your first purchase. If you’re ready to take the leap into real estate investing, the first step is to pick your first property. Whether you’re looking to invest in real estate to live, rent, or flip, it’s one of the biggest decisions you’ll ever make. That’s why being informed is the best way to get the most out of your investment. Follow Flip Out Academy for more on real estate investing or contact us with any questions today.